Philanthropist Pleasant Rowland Frautschi is one of five individuals honored by the Society as a 2009 Wisconsin History Maker. The Wisconsin Historical Society celebrated the lifetime achievement of Pleasant Rowland Frautschi and her husband W. Jerome Frautschi, along with three other individuals with Wisconsin ties, during the Fourth Annual History Makers Gala in Milwaukee in May 2009. Rowland received The Jane Bradley Pettit Award for Distinction in Philanthropy. Pleasant Rowland Frautschi is a noted educator and business leader whose career began as a primary grade teacher. Her lifelong interest in teaching children to read grew from her classroom experience and ultimately led to her authorship of reading and language arts programs used widely for over 35 years in schools throughout the country, teaching millions of children to read. In 1985, she combined her love of American history and her commitment to high-quality educational products to create "The American Girls Collection.®" The American Girls line of historically accurate books, dolls, and accessories is lauded for its ability to make American history come alive for a generation of young girls. 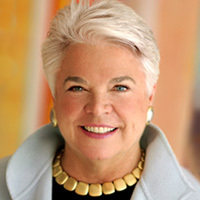 Pleasant served as president and chairman of American Girl™ for 15 years and has been honored for her business achievements. American Girl was selected from a field of 3,000 corporations for its exceptional vision and outstanding management. Ms. Rowland was chosen as one of the 12 outstanding entrepreneurs in the nation and was a national finalist for the Entrepreneur of the Year award. She has been cited as one of the "100 Best and Brightest Marketers" in America and as one of "America's Top 50 Women Business Owners." She holds honorary degrees from the University of Wisconsin and the University of Hartford. Major gifts to the University of Wisconsin including a child care center at the Waisman Center, a gallery in the new wing of the Chazen Museum of Art, and the endowment of the directorship for the Center for Textile Studies in the School of Human Ecology. She founded the American Girls' Fund for Children during her years at American Girl, which continues to this day as the major benefactor to the Madison Children's Museum and a wide spectrum of children's arts and cultural activities in the community. Pleasant's philanthropic interests often complement those of her husband, Jerry Frautschi. She created "Concerts on the Square," a hallmark of summer in Madison for the past 25 years, credited as one of the first ventures to revitalize the downtown. She donated the iconic fountain on top of Monona Terrace, the Madison convention center designed by Frank Lloyd Wright. Her gift of a 4,000-pipe concert organ graces the stage of Overture Hall within the Overture Center in Madison. And she founded the Great Performance Fund, a $46 million endowment to support the resident-arts organizations of Overture Center, matching all other gifts from community donors. In 2004, her career came full circle when she founded the Rowland Reading Foundation, dedicated to improving reading instruction in the primary grades. This nonprofit organization holds all publication rights to the reading program she wrote earlier in her career. She leads this enterprise today.